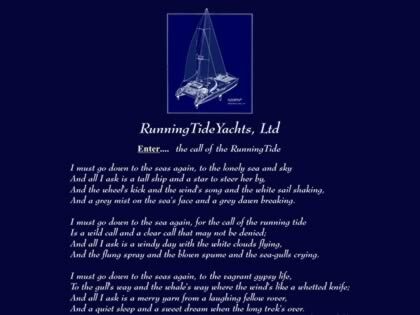 Top : Designers : RunningTideYachts, Ltd. Innovative monohull and multihull sail designer with special features on a mast-aft sailing rig and a 65' gamefishing cat. Description: Innovative monohull and multihull sail designer with special features on a mast-aft sailing rig and a 65' gamefishing cat.